Despite it being near the top of our shortlist of possible places to move to, and just a short walk across the park from our current location, other than a couple of brief forays we hadn’t spent any time at all on the Upper West Side. Last weekend we decided to remedy this – in the end we found ourselves there on both Saturday and Sunday – and I’m very glad that we did. 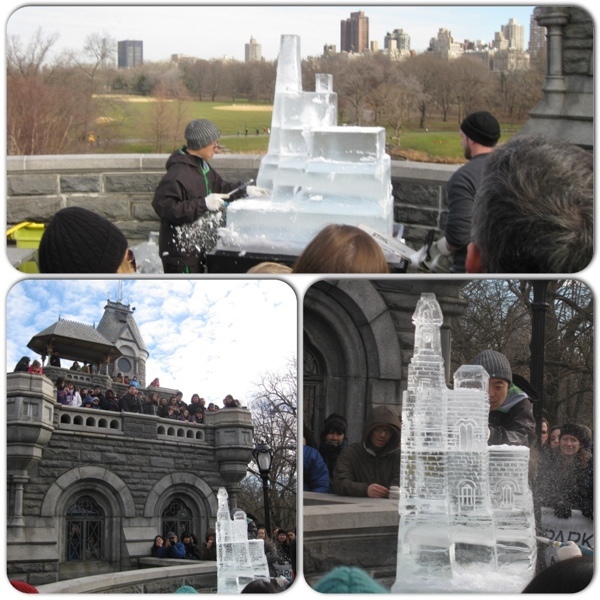 Crossing Central Park on Saturday afternoon, we paused to admire some ice carving going on in front of Belvedere Castle, before pressing on to our ultimate destinations – a dedicated gluten free grocery store and the best knitting shop I’ve ever been to. We also enjoyed wandering around some of the streets in the area – the buildings are generally shorter than on the Upper East Side, and the residential streets seemed a little grander with more old houses and fewer apartment blocks (though I’m sure many of the houses have been converted). Other parts of the museum were quite different in style. 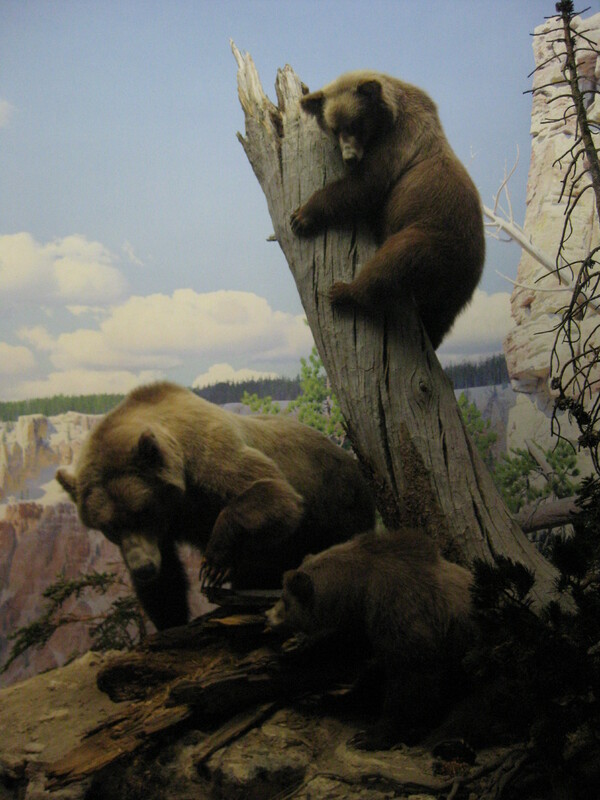 In some areas cases were packed with multiple samples of similar items (whether stuffed birds or semiprecious stones), which I felt was less effective – more impressive were the several large galleries devoted to detailed dioramas of animals and birds in representations of their natural habitat. 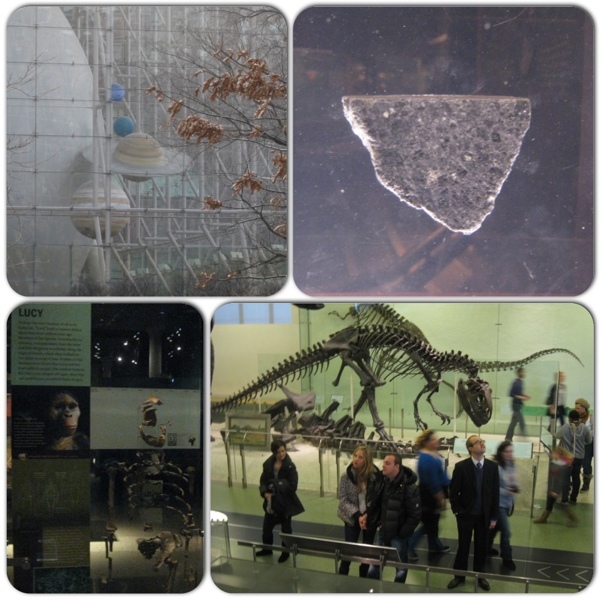 We ran out of steam before we’d had a chance to explore the space science part of the museum, though we did manage a brief look round the meteorites room (where I was particularly excited to see the samples of moon rock). We also skipped over most of the anthropological exhibits – the juxtaposition of human origins, indigenous peoples and cultural artefacts with the natural history side of things felt a little bit uncomfortable (plus T isn’t so interested in anthropology in any case) – though I’d like to have a proper look at them on another visit. 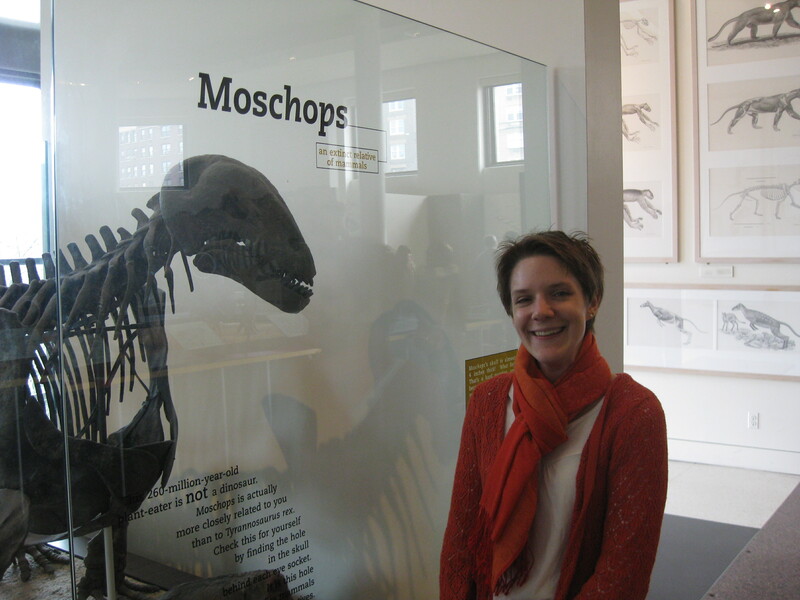 This entry was posted in Exploring, Museums/galleries and tagged AMNH, brunch, dinosaurs, knitting, natural history, Upper West Side by Emma Davidson. Bookmark the permalink. Thanks Jo – can’t believe it’s taken me this long to find out there’s a brilliant knitting shop AND a gf store within a few blocks of each other, will definitely be heading over there more often from now on!